A motorcycle helmet specifically designed for hot summer days? Certainly. The BMW AirFlow 2, which was awarded the Reddot Design Award for outstanding design quality, is equipped with a highly efficient ventilation system. Similar to downhill ski helmets, the BMW AirFlow gives you the option to close both ventilation areas using sliders. BMW has done a great job making sure the product is as safe as it is beautiful. The helmet is equipped with integrated neckbands that prevent it from twisting or moving during impact, a feature that meets the most recent safety standards. The company has also paid special attention to aerodynamics and aero-acoustics. 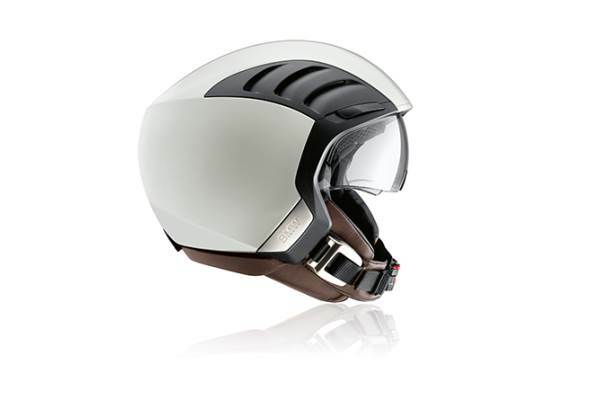 If you already own a BMW motorcycle, you’ll be delighted to find out that this helmet is ready to be integrated into the BMW Motorrad communication system. There’s nothing not to love about it! Prices start at $418 depending on colour and finish.